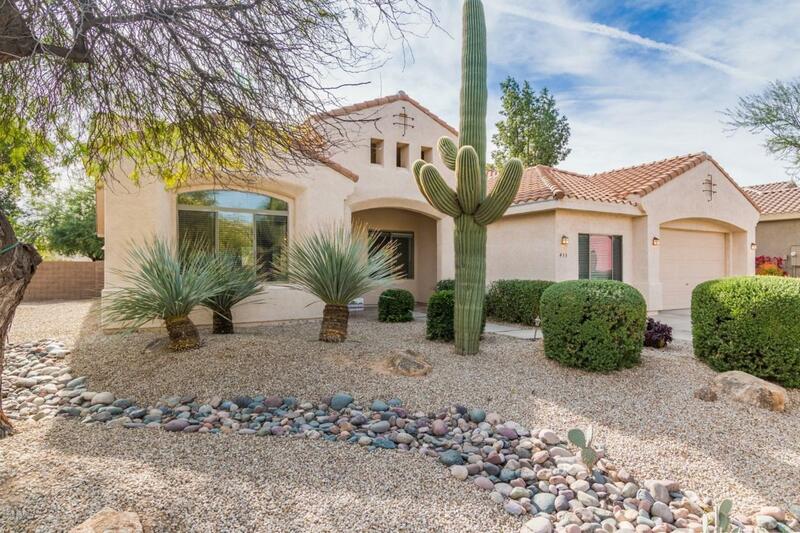 Stunning 3 bedroom home in quiet San Tan Valley golf course community. Gorgeous architecture and great curb appeal. Immaculate, well cared for interior with neutral palate, tons of natural light, clean, new plush carpets and tile in all the right places. Bright, open floorplan featuring a formal living room as well as a Great room and a media room with built in entertainment center. Massive eat-in kitchen with an island/breakfast bar. Master suite includes a walk-in closet and private bathroom with double sinks, separate tub and shower and beautiful stained glass window feature. You will love the blissful backyard, with mature foliage, a covered patio and a built-in fireplace, its the perfect spot to enjoy desert days and nights. This gem offers everything you need. Make it yours today. Cross Street Hunt Highway & Golf Club Dr.